You shouldn’t settle for second best when you are looking at home builders in Columbus, OH. N.J.W. Construction has earned a fantastic reputation and several awards over the years. In fact, these experts have been building homes in their local community since 1996. They now provide some of the most helpful customer support and complete entire 3D computerized renderings of the building project so you can see exactly what it will look like before construction takes place. Reviews of always commented on the perfect communication, workmanship and professionalism of this team. When it comes time to choose who will build your future home you certainly shouldn’t leave it to anyone but the best in the city. 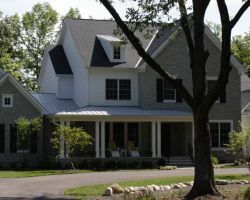 Tom and Alice Snider founded Woodsmen Builders Inc. to be the premier choice of Columbus custom home builders and they have quickly gained a reputation of achieving this goal. Every home that this company creates is unique and perfectly tailored to the exact needs of their clients. This means that by choosing this company you will have a home that suits your personality in every way. At Prism Construction Company they believe that showing dedication to every detail will create the best overall results. 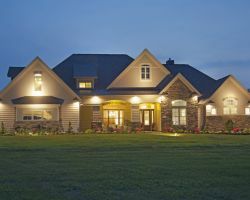 This residential building company has become known throughout the state for bringing together old-fashioned quality and modern building techniques to create some of the most beautiful homes in Columbus. By really listening to their customers they are able to tailor every aspect of the design to the specific needs of each family. Every step and all of the prices will be explained to you so you know exactly what is happening during the whole build. 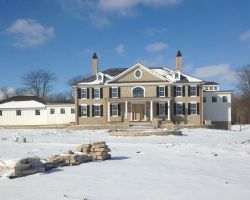 Gossing Construction is more than just a construction company as they have become a premier luxury home builder serving Columbus and the surrounding area. The reason that this company offers such a professional service is because they only hire the most experienced contractors. In addition to only having the best working for them they also only use the highest quality of materials. Every detail of the finished home will be absolutely perfect with an appearance that will exceed all of your expectations. At Michael Edwards Building they believe in making homes that will be loved by their inhabitants for many years to come. This means designing homes that don’t just suit their clients at the time of building but will match their needs at any stage in their lives. 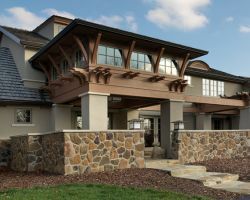 This unique approach to design has made these local building contractors one of the most sought after services in Columbus and the whole of Ohio. Every aspect of the home is designed to enrich the lives of those living there, which generates amazing results.